Originally this blog was set up to be part of my portfolio for my M.E.T. from Boise State. But I've continued to blog about other EdTech topics as I've continued my journey as Digital Literacy and Technology Teacher at our STEM Magnet Lab School. 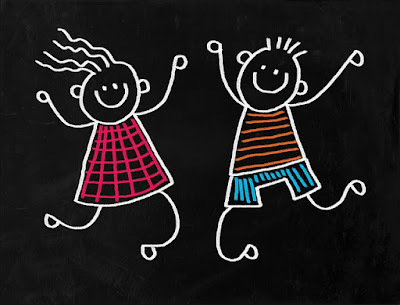 Having taught primary grades for over 25 years, I am always looking for engaging ways to teach young children, and music has shown me how rhythm and rhyme can make a difference in learning how to read. I wrote down songs on chart paper and taught kindergarteners “shared reading” with those songs for over 15 years. When I moved from kindergarten to 2nd grade, I needed different “songs” that included the current curriculum content that addressed the Common Core Standards, just as I had done when I taught kinder. So while looking for the “songs” to teach my shared reading, I came across Lyrics2Learn on Twitter. It was exactly what I was looking for. I wanted to use the program differently than how it was originally set up because I wanted to use it for a larger group as a “shared reading” block. I followed the program exactly how it was intended, but just used my class as one student and projected the lyrics on an overhead screen. My students were joyously active in this “shared reading” time. Students were so engaged with the rhythm and the rhyme, it didn’t seem like reading practice. I followed the program of Lyrics2Learn exactly as it was proposed, but did this whole group instead of individually. I saw what an impact it was for my students because they enjoyed it so much. Moving to my new job of Digital Literacy/Technology teacher, I was given the opportunity to have a 2nd grade intervention group four times a week for 45 minutes per day. These intervention groups were picked by the teachers. Each group of six students have been of similar abilities. I then implemented Lyrics2Learn in my small intervention groups. We meet in an office where I projected the screen of Lyrics2Learn on the board and we proceeded as a “small group” participating in each song and it’s quiz. Again, we followed the program as it was intended, but I taught it in small group instruction. Each group sang the song together and individual students answered the questions aloud. This time allowed for all of us to safely share our thinking and become detectives while referencing the text. Afterwards, we use leveled passages from ReadWorks to continue with the intervention. The combination of Lyrics2Learn and ReadWorks has been amazing in the growth of our students. During student’s literacy block back in the classroom, they are individually set up with Lyrics2Learn and practice the songs that we have done in our intervention group. Outcome: Student data showed improvement in fluency and reading comprehension with the intervention tools used. Students gained confidence in reading strategies and fluency using the online program of Lyrics2Learn. In this article, it supports that all students need a variety of methods to understand and improve on reading. It also states that reading needs to be individualized. This article was written in the hopes that whoever reads it get the understanding that we have to do something about our literacy programs in schools. Technology, along with other learning methods, are crucial to the improvement of reading comprehension and fluency. The authors state that technology improves performance when the application directly supports the curriculum standards being assessed. Technology can improve test scores. These tech tools encourage and engage students in higher level thinking skills. Research and evaluation shows that technology can enable the development of critical thinking skills when students use these tools for presentation and communication to present, publish, and share results of curriculum projects based on standards. Stearns, S. C. (2012). Integration of Technology Into the Classroom: Effects on reading comprehension. This research paper was done to study the effects on using technology in the classroom to help with struggling and at-risk students in the area of reading comprehension. They studied lots of kinds of technology interventions and concluded that the benefits of using technology were beneficial in teaching reading comprehension and 5 out of the 10 studies showed that using technology for the struggling readers was more beneficial than traditional methods of teaching reading comprehension. Raz Kids is a Web 2.0 tool with apps available for all mobile devices. This individualized reading program is designed to provide an affordable, engaging site/app, where students are motivated to practice and improve their reading skills, and teachers can accurately monitor student progress with detailed reports. Teachers can individualize and personalize reading levels and taylor lessons for each student. 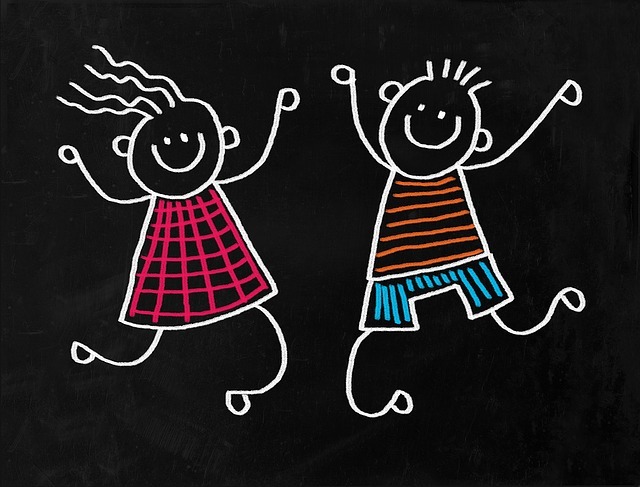 The benefits of an evaluation of RAZ kids is the chance to show that this program is meeting its stated objectives and to show any weaknesses of the program observed during the gathering of data. The potential limitations of evaluating this program would be the shortness of the program being in place. The outcome of the evaluation might have be more impactful and insightful if we would have a longer time from start to finish to gather our data during this evaluation. Another limitation might be in the training of the teachers involved in implementing the program. They will receive training of the program by a qualified individual, but through formative assessment, we may find more training might need to be offered during the course of the evaluation. The infrastructures for wifi in our building has been upgraded this summer to be able to compensate for all devices, however, at this time wifi is still unavailable in the kindergarten rooms. This may impact the evaluation process for the kindergarten students using Raz Kids. The evaluation results of Raz Kids possibly may show us that this program does exactly as it states and teachers find that students reading skills are improving. This would be an added benefit for students if they enjoyed the program and were motivated to read fiction as well as non-fictional stories. We may also find an added benefit that students may be motivated to learn more about a topic after reading a Raz Kid book online. The Maricopa Community College District (MCCD) partnered with Cashflow Technologies, Inc., to design and deliver a course in financial literacy. The course is based on the products - books, games, and videos - created and sold by the company. Components in the course include training sessions for future course instructors and seminars at which attendees play the Cashflow game. MCCD commissioned an evaluation of the program to verify its value to students and the community. In addition, Cashflow Technologies is exploring the possibility of marketing the educational program to educational institutions throughout the nation so an educational evaluation of the program should lend it credibility. Cashflow Technologies has been producing the materials for three years. The course was offered for the first time during the fall 2011 semester. No training sessions or seminars have been performed. The program will be evaluated by students in Educational Technology at Boise State University. The evaluators have access to sales information for the products, student performance data from the course, and contact information for the students and instructors. The budget for the evaluation is $6,000. As much as we know as seasoned educators, it is always exciting learning something new. As my experience has been with inquiry, 21st Century skills and web 2.0, now I can put all of these together using Project Based Learning. Please feel free to look at my developed site about Financial Literacy at http://pbl4primary.weebly.com. There are resources galore and I would love to share with someone passionate about financial literacy and teaching it to our primary students in a meaningful way. Please look at my previous blogs as I have grown each week within this process. Reviewing of a planned project or an implemented project after it has been completed is often a time educators create that “sigh of relief”. The feeling of relief that it is over. However, this is a crucial time to analyze and adjust your project for the…...next time you implement a project like this one. Maybe you are in that one-room schoolhouse, but probably not. It’s 2014 and you probably are required to work with other educators on these projects. Maybe it’s the librarian at your school, the tech teacher or other teachers on your team or grade level that helped you implement this project. Regardless of who, it’s imperative that you take planning time to analyze what went well, what didn’t go well, how the student’s formative and summative assessments turned out and how the authentic audience and students evaluated themselves and the process of the project and the adjustments to make later. 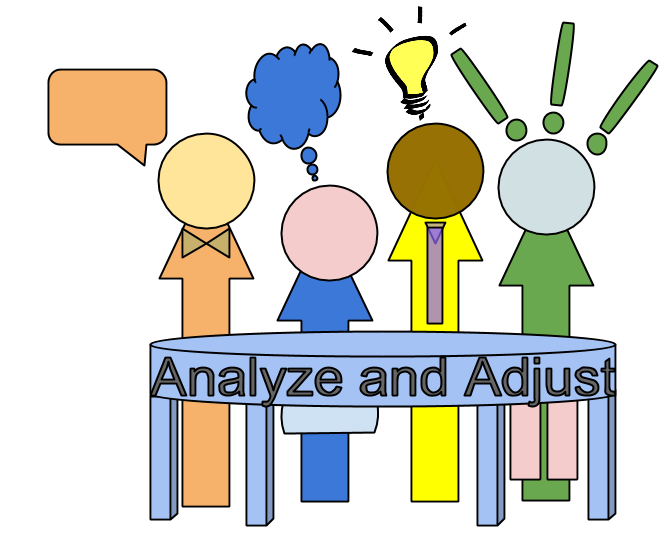 This analyze and adjust phase is our learning process as educators to implement the best strategies to meet the needs of our students. In our class this week, we had a peer review our project, look at a rubric and give educators feedback on the understandings of the project. This peer reviewed feedback helps us with the analyze and adjust part of our project. This peer feedback is an instructional strategy designed to increase interaction among the students and add value to our learning process. Sometimes, though, it’s difficult to give a peer or co-worker meaningful feedback that helps them reflect on the process and think about their own work. Sometimes that peer or co-worker refuses to accept negative feedback as accurate. The greatest potential benefit of peer feedback might not be receiving it, but providing it. When you provide feedback on someone’s project or ideas, you begin to think critically of your own work and look to improve your own project as you analyze the peer’s project in a new way. Using peer review with other educators is as important as my students using this instrutional strategy. There is a need to understand the structure of peer reviewing someone’s work or project using a rubric so that they can begin to evaluate their work differently. My 2nd graders peer review others work a lot. I learned last year that they are much better at finding other student’s mistakes, then finding their own. Peer reviewing is structured so that there is accountability on both sides. Remember that peer reviewing might be more beneficial in the providing of it part because that is where we can see our students make the connection to their own work and apply their thinking. Ertmer, P. A., Richardson, J. C., Belland, B., Camin, D., Connolly, P., Coulthard, G., Lei, K., ... Mong, C. (January 01, 2007). Using Peer Feedback to Enhance the Quality of Student Online Postings: An Exploratory Study. Journal of Computer-Mediated Communication, 12, 2, 78-99. Learning is Unique for Everyone! Teachers have the responsibility of ensuring progress in academic standards, while still protecting and addressing the individual needs of students with disabilities. There were 87,233 students serviced with learning disabilities in the 2010-11 school year in the state of Colorado from ages 3 - 21. This number continues to increase yearly and clearly indicates that learning is unique for all students. The technology tools available today provide a range of opportunities for teachers to meet the needs of diverse students within inclusive environments. Using the UDL framework provides students with more accessibility and opportunity for academic success. This broad framework focuses on building choice and flexibility within instructional practices that are used for all students. Capitalizing on available current technology tools can help meet these goals. UDL looks different in each classroom where it is implemented based on the strengths and needs of individual students. UDL is based in neuroscience and brain research and utilizes technology advances to improve instruction, but it is not a technology-only approach. Teachers without the latest technological tools in their classrooms can still embrace and apply a UDL approach. The three key components of universal design for learning are: multiple representations of information, alternative means of expression, and varied options for engagement. An example of using multiple representation of information would be captions on video or text for audio material as well as the use of video and animation to convey concepts. This is demonstrated in my video about getting ideas for student’s personal narratives. I used the closed caption tool from YouTube’s editor to complete this process. Examples of alternative means of expression include options to record oral speech, to draw, or to present ideas through a dramatic presentation. This is demonstrated in my presentation lesson of students telling of their story, retelling story and finally recording their story. Students can be motivated if content, level of challenge, and the supported activities involve choice or can be changed. Effective feedback using formative and summative assessments can also provide multiple ways for students to see success, stay engaged and challenge their learning. Part of the lesson I developed adds the formative assessment of reflection by peers and by self to improve their story even before they begin to write. Universal design can enhance performance for all students in the classroom. However, it can become a bridge for students with mild disabilities to participate on a more level playing field than peers who are more successful with printed text. For students with severe disabilities, universally designed lessons can mean the difference between participation in the classroom setting and a pull out scenario. Rose, D., & Meyer, A. (2002). Teaching every student in the digital age: Universal design for learning. Alexandria, VA: Association for Supervision and Curriculum Development. Potential criticisms that may occur in implementing a Project Based Learning project might be that many may wonder whether project-based approaches can fit into an already packed curriculum and can successfully address national, state, and district standards. Others may not understand and question how learning is somewhat dependent upon specific students, classroom and community in which the learning takes place and may wonder why your classroom activity looks unorganized and extremely active. Addressing criticisms of PBL with excitement and enthusiasm is helpful, but giving critics data driven information should be the route to address criticism. This data is also the rationale of why PBL involves effective instructional strategies that I will be implementing in my classroom next year. When addressing standards, the curriculum is just a tool for content and activities designed to meet standards. A well planned and carefully designed PBL project can meet the determined grade-level standards. Teachers using PBL design and approaches correctly will make these projects meaningful and personal to the students. There are connections created between project-based approaches and the world outside the walls of the classroom. There are connections between the projects and other school lessons that integrate many other standards. Classroom PBL design includes model listening and full group attention. Effective approaches in collaboration requires the classroom teacher to model, support and carefully coordinate student’s collaborative groups. These teachers incorporate the use of effective feedback and assessment for students and provide students will multiple opportunities to revise and reflect on their learning and work. This produces significant learning gains. Findings indicate that PBL, was superior in long-term retention, skill development and satisfaction of students and teachers. The element of choice provides the engagement and the feedback promotes the learning. Duke, N. K., Brugar, K. A., Halvorsen, A.-L., Block, M. K., Strachan, S. L., Berka, M. B., & Brown, J. M. (October 22, 2012). Narrowing the achievement gap in second-grade social studies and content area literacy: The promise of a project-based approach. Theory and Research in Social Education, 40, 3, 198-229. Katz, L., & Chard, S. C. (Eds.). (2000). Engaging children's minds: The project approach. Stamford, CT: Ablex Publishing Corporation. Strobel, J., & van Barneveld, A. (2009).When is PBL more effective? A meta-synthesis of meta-analyses comparing PBL to conventional classrooms (Abstract). Continuing down my Project Based Learning path, proved more difficult this week. As an educator, ideas come easy to me, but specifics don’t always flow as quickly. In PBL, however, not planning out specifics could mean an unsuccessful unit for your students. But also as an educator, that has been trained in the teaching-learning cycle, I know the key is to go back to the standards of what kids need to know and plan accordingly. So that is what I did. When revisiting the Colorado Department of Education social studies standards, I found fabulous resources that helped me tremendously. Colorado Personal Financial Literacy Expectations put things very simply for me. I continued from there making sure the standard was being addressed. Changing my title of my project to: You Can’t Have Your Cake And Eat It Too! gave me the emphasis on scarcity that I needed. Scarcity could actually be a theme for the entire year in a classroom because you can cover many standards you need to teach in science and social studies and still be incorporating the term scarcity. Whether it’s scarcity of water, food, technology, or goods and services, it can all apply to our teachings. The next resource that helped me was the Colorado Council for Economic Education. This resource has many tools available for educators for all ages. They are solid lessons and some are even interactive. This week, I will share my Tools and Resource page for my financial literacy PBL project as well as my Project Timeline created with lucidchart. I'm enjoying the lucidchart chrome extension the more I use it.